Washington, DC - The National Coalition on Black Civic Participation will "Celebrate Our Brothers" during the 15th annual Spirit of Democracy Awards Gala Thursday May 17 at the Hyatt Regency on Capitol Hill. The awards are presented to individuals and organizations who have demonstrated a consistent commitment to social justice and creating balance in the democratic process. Sponsors include AT&T and Verizon, among others. Media should RSVP to edmedia@dogonvillage.com. May 11, 2012 (New York, NY) –Reverend Al Sharpton, President of National Action Network, along with Julian Bond, Chairman Emeritus of NAACP, Melanie Campbell, President and CEO of the National Coalition for Black Civic Engagement, and Reverend Dr. Joseph Lowery, Civil Rights Icon and President Emeritus of the Southern Christian Leadership Conference, released an open letter today embracing President Obama’s position on equality for gay and lesbian individuals in this country. This followed several calls today between faith and civil rights leaders organized by Rev. Al Sharpton and NAN to encourage a civil debate on this issue and to encourage all individuals to keep all issues of import to our communities in mind in the days ahead. Washington, DC - Determined to honor their commitment to produce an intergenerational affair, The National Coalition on Black Civic Participation (The National Coalition) has tapped award-winning actress, singer and songwriter, Demetria McKinney (Tyler Perry's House of Payne), to perform at the 15th annual Spirit of Democracy Awards Gala on Thursday May 17, 2012 at the Hyatt Regency on Capitol Hill. Hosted this year by actress Vivica A. Fox (Set It Off, Independence Day), among the groups honorees are emerging leaders Jonathan McDaniel, actor, recording artist and technology advocate, and Joshua DuBois, executive director of The White House Office of Faith-based and Neighborhood Partnerships. Washington, DC - Melanie L. Campbell, president and CEO of The National Coalition on Black Civic Participation (The National Coalition), today announced the recipients of the prestigious 2012 Spirit of Democracy Awards which will be presented during the 15th annual Spirit of Democracy Awards Gala hosted by actress and producer, Vivica A. Fox (Set It Off, Kill Bill, Soul Food), onThursday May 17, 2012 at the Hyatt Regency on Capitol Hill. For ticket information call (202) 659-4929 or email events@ncbcp.org. Text-based App Provides Information on Photo ID Requirements and Helps Voters Jump Start Voter ID Application Process--WASHINGTON, DC – April 5, 2012 – Today the Cost of Freedom Project announced the launch of the Cost of Freedom App to help voters get ready for the November election. Voters can text “Voter ID” or their state abbreviation to find out whether they need to show government-issued photo ID in order to vote. Washington, DC - The slaying of Trayvon Martin and other innocent teens was foremost on the hearts and minds of nearly 400 Black women from across the country that assembled recently in Washington, DC for the Black Women's Roundtable (BWR) inaugural National Women of Power Summit, three days of down-to-earth discussions "Amplifying the Voices of Women and Girls in 2012 and Beyond." WASHINGTON, DC-- Congresswoman Rep. Marcia L. Fudge (OH-11), in collaboration with Democratic Whip Steny Hoyer (MD-5), Rep. John Conyers (MI-14), and Rep. John Lewis (GA-5) and in partnership with the Congressional Black Caucus, will host a Voting Rights Briefing, The Evolution of Voting Rights in America: The Struggle Continues, on Friday, February 17 at 1:30p.m. in recognition of Black History Month. Mims, FL – The Florida Coalition on Black Civic Participation has confirmed actress, producer and businesswoman, Vivica A. 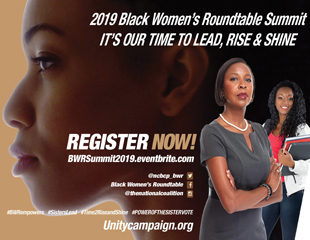 Fox, to speak during their Black Women’s Roundtable (BWR) 2012 Healthy, Wealthy and Wise National Empowerment Tour taking place Saturday, Feb. 4 at the Harry T. & Harriette V. Moore Cultural Center in Mims, FL. National Coalition on Black Civic Participation joined The Assembly of Petworth the D.C. Department of Health, and United Planning Organization to host a press conference marking National Influenza Vaccination Week (NIVW), December 4-10. The press conference and a mini-free flu vaccination clinic was held at the United Planning Organization “Petey” Greene Community Service Center in Southeast DC. WASHINGTON, DC – (June 24, 2011): The National Coalition on Black Civic Participation (The National Coalition), The William Kellibrew Foundation (WKF), Black Youth Vote! (BYV!) 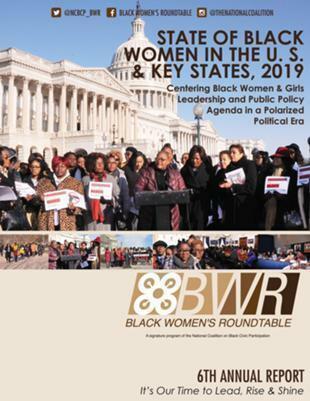 and Black Women’s Roundtable (BWR) join Kenny Barnes, Sr., M.S., Founder and CEO of Reaching Out To Others Together (R.O.O.T. Inc.) on CBS Radio on 1580 AM Big Talker Radio every fourth Tuesday from 8-9 a.m. (ET) starting on Tuesday, June 28th, 2011. Currently reading page 11 of 15.